This Hands On Training (H.O.T.) class will focus on various tactics of interior structural firefighting. We will also focus on R.I.T. operations, Strategy and Tactics, as well as proper usage and various nozzle pattern techniques and fire attack. This course is unique in the fact that we explain how the Firefighter and/or IC should respond to various Solar emergencies that can be encountered - ranging from Structure & Vegetation Fires to Motor Vehicle Collisions into Solar Farms. Join us as we explore this DOGMA and try to figure out what we can do to change it. More and more fire departments are carrying pet oxygen masks on their apparatus these days, making it crucial for first responders to understand how to appropriately size an oxygen mask for fit to the animal as well as what flow rates are required for different animals. This is the 12-hour psychomotor skills session required for Maryland EMT recertification. Class will be conducted in three four-hour sessions. PLEASE NOTE – The student will still need 12 hours of continuing education either online through MFRI or physical attendance at several available sessions. In today's time of financial and staffing strains, both career and volunteers are being asked to do more with less. One of the most underutilized positions within the fire service is the "engine driver." This course will give attendees a look at how to utilize the driver focusing on four key elements. Every experienced instructor has a wealth of knowledge and prior learning to bring into the classroom to engage students, but sometimes, these experiences are little more than endless war stories, eating up valuable classroom time and contribute little to actual student learning, providing meaningful insight and education for students to help them understand and solve real-world problems. Strategic RIT is the command concept of the function of RIT as opposed to the skills concept of RIT. It's the thought process that the RIT officer should go through when assigned the duty of RIT. Times have changed and with that so have the fire service. The way we learn, the way we teach and the way we fight fires have all been affected. From the senior man to the rookie, we will look at the influences, history, generations and current events that affect the way we do business. The Joint Memorial Service will take place in the Bayfront Ballroom, OCCC on Sunday, June 16, 2019. This course will have the students rotate between three stations. The stations will give the students different challenging evolutions to test their thinking. Each station will give the students plenty of tool time and cover everything from stabilization to moving vehicles. This class will take the proven methods of traditional searches and add the use of Thermal imagers and Rope Assisted Searches to increase accountability and speed. Fire companies are the linchpins to a successful emergency scene operation. The importance of synchronized small unit tactics following the commander's intent is critical to a successful mission on an emergency scene. Staff from the Epilepsy Foundation will talk about seizures, some possible causes, presentation, what we should know and how we should treat the seizure patient. Principles of Structural Fireground Tactics is designed to help firefighters to understand the big picture of fireground tactics and how the skills they've learned are applied to the overall goal. Our students are not "one size fits" all when it comes to learning. As educators we need to teach to a level that promotes learning within each student. Busting Through Recruitment & Retention Challenges, Developing YOUR Game Plan! This workshop will offer both classroom and hands-on training for students in drafting a recruitment plan and developing internal programs to increase retention rates. Students attending this workshop will learn strategies to help overcome the biggest barriers to retention and recruitment in the fire service. This session is the Annual MIEMSS Protocol Update required of all practicing providers. Repurposed and modified / updated buildings and their hidden hazards. The class will look at lessons learned for LODD's involving these structures, the importance of knowing what's in your first due and preplanning them, hazards of these structures during and after renovations, examples of two-faced buildings, code upgrades to protect us and the public and response considerations. Recent studies have demonstrated that more firefighters are dying each year from cancer than from line of duty injuries. Changes in home construction and the interior products are exposing our firefighters to toxic levels of chemical release. Explore the use of educational assessment in the classroom-level through application of zone of proximal development and data collection techniques to personalize student learning for your students, keeping them more engaged and constantly moving to a higher level of development. The Need, Who, What and Why it's a good idea. The course will look at why the need to go beyond basic preplan and response information especially for the street level command officer. Examples of what information is good to have and why, what to put in the manual, Electronic or Paper and the advantages of each and different formats and how to set each other up. 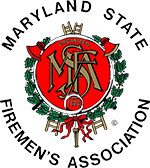 Corporate vendor / exhibitor, Municipal Equipment Supply, will present the newest information and equipment to protect firefighters from carcinogens on the scene and at the station. Cold weather injuries are bad enough, but when exposure becomes an issue, things get worse. Gary Adelhardt, a ski patrol medic, will talk about how things change when its cold. Even though it's hot now, we still need to think about hypothermia. This Lecture class will focus on setting up your engine and your crew for the most efficient deployment possible. We will discuss common engine company pitfalls and how to set up your engine and crews to overcome them. This class will teach you several ways and techniques to assist you with performing job functions with limited personnel. The mission of the Firefighter Cancer Support Network is to help fire / EMS members and their families cope with cancer and to provide occupational-cancer awareness and prevention training nationwide. This course will look at lessons learned both good and bad from apparatus programs and studies, different funding and replacement plans will be explored, the importance of planned replacement and maintenance, pros and cons of rehabbing and when to consider, fleet management, thoughts on specifications and purchasing and the need for properly insuring your vehicles. The description for this particular MSFA Convention educational class will be posted as soon as available. As individuals, we carry the weight of everyday stresses around each day: work, family, financial status, having more time to enjoy life. Couple that with the mental stresses of firefighting: witness to life and property loss, sleep deprivation, poor nutrition, and we are equal to a ticking time bomb. The CIREN process combines prospective data collection with professional multidisciplinary analysis of medical and engineering evidence to determine injury causation in every crash investigation conducted. In early 2016, the International Code Council's Board of Directors approved the creation of an ad-hoc committee to explore the building science of tall wood buildings. Since that time, the Tall Wood Building (TWB) Ad-Hoc Committee has reviewed voluminous materials regarding tall wood buildings, including results of various testing around the world, as well as domestic studies in support of the TWB charge. The TWB developed its own test scenarios to substantiate any code change proposals. This program is targeting anyone interested in starting a Junior Program or growing their current program and how it can benefit their organization. This program is a comprehensive review of the factors needed to make quick and appropriate decisions while responding to and arriving on the scene of a working structure fire. This lecture will review identification and management of blunt pelvic trauma. We will focus on all aspects of care, pre-hospital and hospital treatments and review current management guidelines. Since its legislative inception in 2012, the Maryland Center for School Safety has strived to provide quality training in school safety to all of Maryland's School Systems. This presentation will provide an overview of the Centers beginnings and where passing of the 2018 Safe to Learn Act is taking the Center, School Safety and State Emergency Responders to, in the State of Maryland. 10th Annual Brotherhood Block Party, hosted by the Ocean City F.O.O.L.S. and supporting the National Fallen Firefighters Foundation will take place at Cowboy Coast Saloon on Tuesday, June 18, 2019. The 5th Annual Hair of the Dalmatian 5k, sponsored by O.C. FOOLS, starts at the Firefighters Memorial, located at the Boardwalk & North Division Street on Thursday, June 20, 2019.